• Eat a pintxo in San Sebastián. • Take a photo with the Bay of La Concha. • Enjoy parks and nature. • Take a 7-kilometer walk from the Zurriola beach to the Peine del Viento. • Eat the first ice cream of the season. 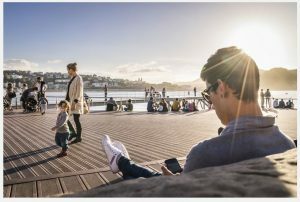 • Know the neighborhoods of San Sebastián. • Participate in the guided tours to know the most important highlights of the city. 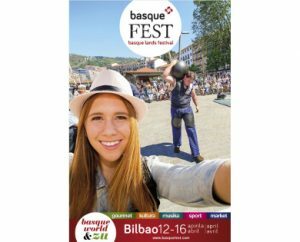 Bilbao celebrates these days of Easter ‘Basque Fest’, from 12 to 16 April, an event on Basque culture from an urban, roots and cosmopolitan perspective, where music, design, literature, gastronomy, sports … Tradition, innovation, art and vanguard. Consult the program with the sections of ‘Kultura’, ‘Musika’, ‘Market’ and ‘Txoko Gourmet & Basque Destinations’ distributed in four areas of the city: Guggenheim Space, Azkuna Zentroa Space (Fest Gastronomy), Zazpikaleak Casco Viejo Old Quarter (Txakoli & Music and Txoko Gourmte & Basque Destinations) and Bilbao La Vieja (Mercado La Ribera Market). 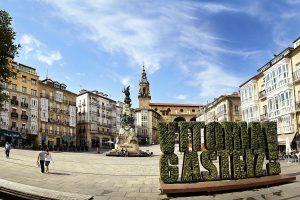 Vitoria-Gasteiz offers for Easter a complete program of guided tours with visits to the Medieval Quarter, thematic visits with literary routes, guided visits to the Cathedral of Santa Maria and The Wall, the Escoriaza-Esquivel Palace and Villa Suso. In addition a whole cultural offer with the museums and the exhibitions, in particular in Artium that welcomes the first European retrospective, ‘Dialogues and disobediences’, of the Argentine artist Liliana Porter. Also, religious acts with the main processions will also happen to the city. Zarautz displays fun guaranteed with the XVII Fair of the Beer of Zarautz during the days of Easter. From the 12th to the 17th of April, the Munoa tent will welcome those who wish to enjoy beer and gastronomy, along with activities for children. On Holy Thursday and Good Friday, at 7 pm, there will be a religious Mass sung by Schola Cantorum in the parish of Santa Maria la Real. From 13 to 16 will be held the Handicraft Fair “Spring Fair”, the hand of “Nahia” Association of Artists and Artisans of Zarautz in Lege Zaharren enparantza. For Friday the 14th, Zarautz proposes a guided visit “Bodega de Txakoli” at 12.00, to the Bodega Talai Berri (by appointment) and for Saturday 15 to Bodega Rezabal (by appointment and minimum of 10 people). And for Sunday and Monday, 16 and 17, the Fair “Book and Disc Day” in Zigordia kalea. 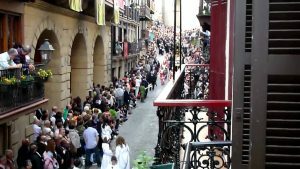 Hondarribia hosts Good Friday its popular Procession of Silence, one of the few localities of Gipuzkoa that maintains it. The Via Crucis begins at 9.00 hours from Errandonea to Guadalupe through the old cobbled streets of the Historic Quarter. A tradition that has more than 400 years of history. After the descent to the Crucified Christ at 5:00 p.m., the Procession of Silence begins and in which the local population participates in absolute silence. They are accompanied by Roman soldiers, twelve apostles and people with burning candles. The Municipal Band with the funeral march of Chopin closes the entourage. On Resurrection Sunday, on the 16th, the Procession of the Encounter or ‘Ttopara’ begins at 10.00, culminating thirty minutes later with the Major in the parish.